Finally, I was able to find a decent and a REAL trailer for Bleach Movie 4 Hell Chapter. Just recently, Bleach episode 298 was a filler episode and one of the Nanao Ise was saying that they should make a movie in preparation for Bleach movie 4. Bleach episode 299 is also a filler episode, it’s a Hell Chapter Prologue. 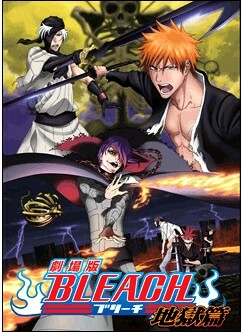 You may also visit the Bleach Movie 4 Official website and trailer here http://www.tv-tokyo.co.jp/bleach/ for more information. It’s a Japanese site though.